1947. In the chaotic aftermath of World War II, American college girl Charlie St. Clair is pregnant, unmarried, and on the verge of being thrown out of her very proper family. She's also nursing a desperate hope that her beloved cousin Rose, who disappeared in Nazi-occupied France during the war, might still be alive. So when Charlie's parents banish her to Europe to have her 'little problem' taken care of, Charlie breaks free and heads to London, determined to find out what happened to the cousin she loves like a sister. 1915. 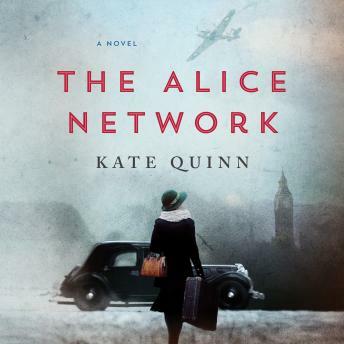 A year into the Great War, Eve Gardiner burns to join the fight against the Germans and unexpectedly gets her chance when she's recruited to work as a spy. Sent into enemy-occupied France, she's trained by the mesmerizing Lili, the 'Queen of Spies', who manages a vast network of secret agents right under the enemy's nose. This book was amazing! By far we're on the best books I've read or listen to in a very long time!!!! Great reading sometimes could not wait to continue. Intelligent and stlll full of suspense - great narrator who lets the characters grow before your ears. Loved it. I thought the storyline was good but I found the narration grated on me sometimes, the voices (accents) didn't always sound natural . Maybe would have benefitted from having male and female narrators. Excellent history mixed with fiction. I really enjoyed this book. I thought the narration was good and really brought the characters to life. It is going to be one of my favorites.